The celebrations for the centre''s 40th anniversary. 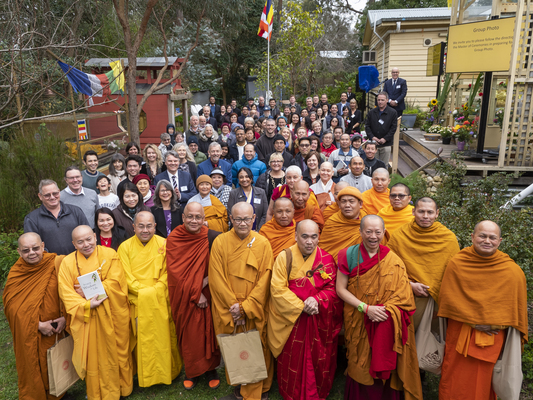 Upwey’s Buddhist Discussion Centre celebrated its 40th anniversary with guests from across the state. It’s been at the same location – 33 Brooking Street – since the late John Hughes founded it on 9 September 1978. Exactly four decades later, the centre hosted 21 Buddhist monks and nuns from many of Melbourne’s Buddhist Temples and about 60 guests from the Thai, Vietnamese, Sri Lankan, Taiwanese and Cambodian Buddhist communities from around Victoria. Yarra Ranges Councillor Noel Cliff was also an honoured guest. The centre launched its first published book, Bringing Wisdom to Life, during the event and guests received free copies as part of the celebration. The centre recently interviewed past and present members to produce an oral history. The Buddhist Discussion Centre offers free classes and courses on Buddhism and this year ran its first classes for children to learn about Buddhist values for living a happy and peaceful life. 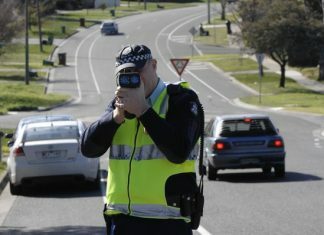 Email wbu@bdcu.org.au or call Frank on 0408 303 550 for more information.